My ex mother-in-law had a real problem with bladder incontinence but she was too embarrassed to buy her own incontinence products so I would buy pads and briefs for her. I have no idea if she’s gotten over the embarrassment or who might be buying them for her now, but when I had a conversation about this with my mother I learned that she was having some similar incontinence issues occasionally and she was using pads only instead of briefs because she was afraid they’d give her a “diaper” appearance and people would be able to tell she was wearing them. The doctor has told me that after having five children and a radical hysterectomy he’s quite sure I’ll have bladder incontinence issues myself and thankfully I’m fine with buying them, especially when they come in such a pretty box like these Depend® Silhouette® Active Fit briefs, but I certainly don’t want people to think I’m wearing diapers so I’m taking the #yogapantchallenge and I’d love to see if you can tell whether I’m wearing them! 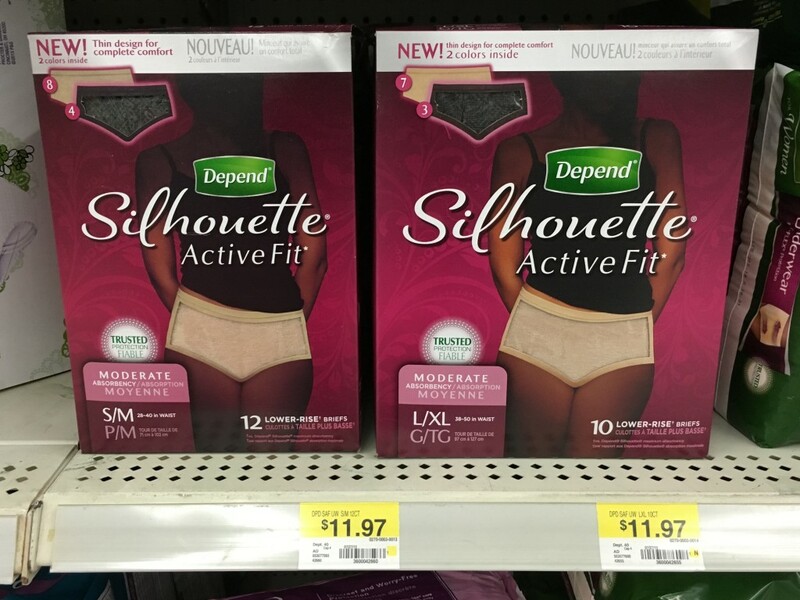 When I stopped by Walmart to pick up a box of Depend® Silhouette® Active Fit briefs I noticed that the gentleman behind me in line was buying a bottle of libido vitamins and a couple cat scratchers and realized that none of us should be embarrassed about our purchases, but I’m dying to know what you think about my bum in these yoga pants! I’m wearing the incontinence briefs in one of the pictures above and my regular underwear in the other picture – click the picture if you’d like a larger view, and then tell me whether you think I’m wearing the Depend® briefs in the left or right picture. Leave a comment below with your answer and be sure to enter the giveaway for a chance to win one of FORTY Walmart Activewear gifts. I’ll come back and post the answer after I get a few votes!